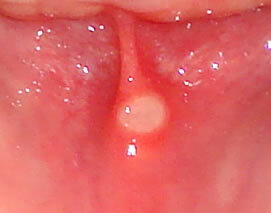 Mouth ulcers are small painful wounds that develop in your mouth or under your gums. They make daily tasks like eating, drinking, and talking painful. It is a very common ailment that affects almost everyone at least once in their lifetime. Here is a quick guide to ulcers (also known as canker sores). Accidental injuries while eating or chewing, brushing too hard, or injury due to dental treatment or work. Lack of healthy diet causing dearth of essential vitamins and minerals. Allergic reaction to certain chemicals present in toothpaste or mouthwash. Infections due to certain bacteria and fungi. Hormonal and chemical changes due to stress or menstruation. A round or oval sore inside the mouth. Swollen skin around the sores. Problems while chewing in the affected area and subsequent loss of appetite. Irritation or pain while brushing or exposure to salty or spicy foods. Applying a paste of milk of magnesia or baking powder to the affected area. Place damp tea bags on the affected area also relieves the pain. Taking nutrient supplements rich in zinc, vitamin B12, and iron. Avoid consuming sour and spicy food until the ulcer heals. If the symptoms persist for more than two weeks, visit a doctor as the symptoms can also point towards some other oral diseases.